Anna Jo Medical Beauty is a newly opened and highly anticipated beauty clinic, specializing in high-end beauty services. Located within Box Hill, this retail destination makes a positive contribution to the neighborhood, introducing a new target audience into the area. 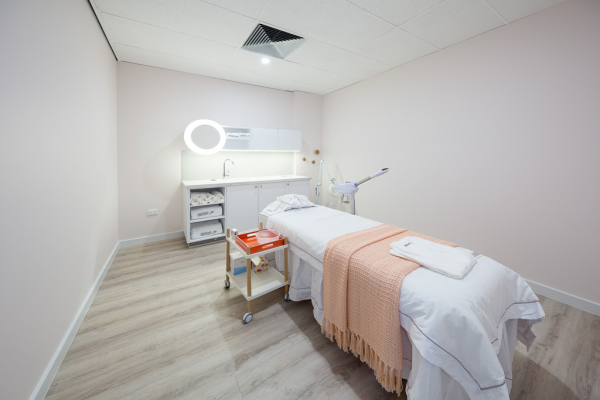 The sleek, sophisticated interior is the perfect representation of the Anna Jo brand; reflecting their luxurious services as well as their clinical medical background. 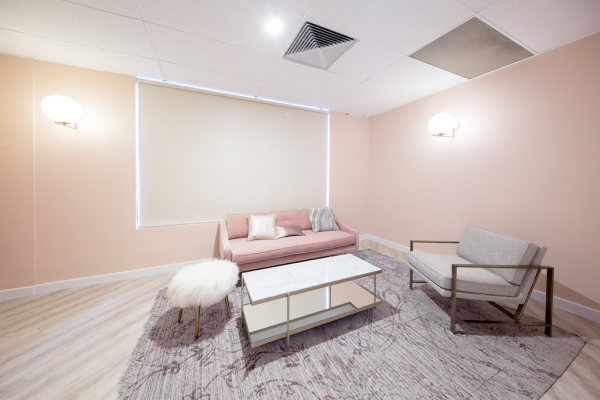 The scope of the Anna Jo Medical Beauty project was to update, refresh and re-imagine a building that was previously used as an IT training space. The expansive 400sqm space includes two tranquil and relaxing waiting areas. With a calming colour palette, a soft lighting strategy and comfortable soft furnishings, these spaces provide the perfect environment for clients to relax within. 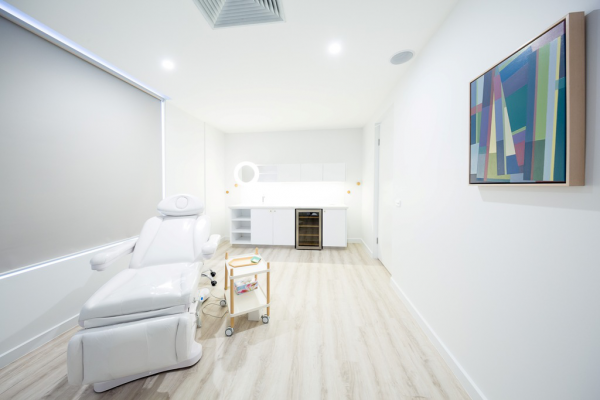 The injection room is a stark white, bright, and clean space which relays the clinical nature and function of the room. The spa room has a homey feel to it, creating a cozy and relaxing space. 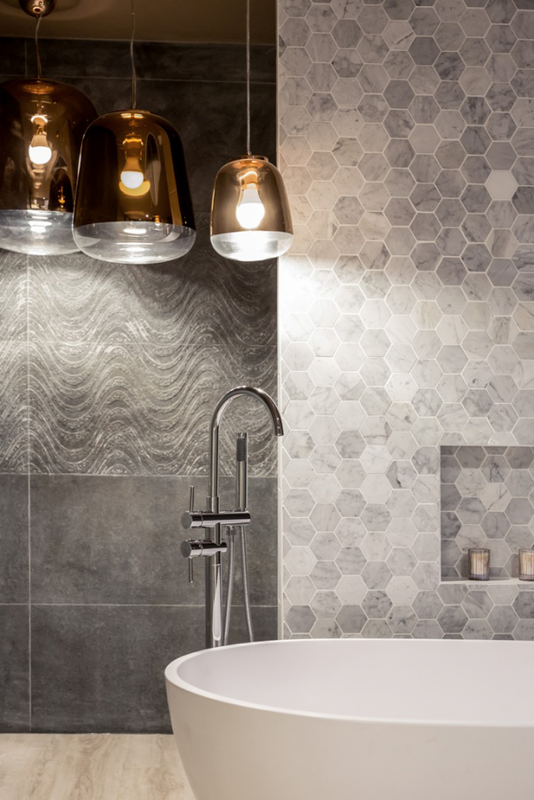 Anna Jo Medical Beauty's colour palette is slightly darker, featuring dark grey textured tiles and a subdued lighting strategy. 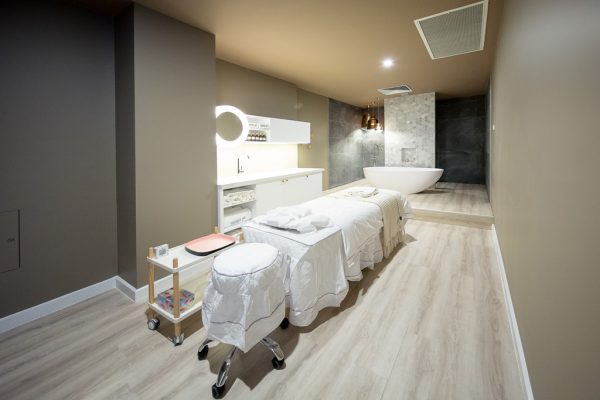 The space features 8 facial rooms are light and airy, allowing clients to completely relax and submerse themselves within the luxury of their treatments. Overall the refined colour palette of white, grey, rose gold, and soft pink, allow for a cohesive, relaxing feel to the whole space. The interior exudes a feminine, welcoming, and opulent atmosphere; a successful outcome given the design objectives of creating an inviting, professional and high-end interior. An organic, curved and flowing design language creates the perfect environment for the Anna Jo customers. Curved walls gently lead customers down the hallway into the waiting rooms, and then further on into their treatment rooms. The fluid shape of the reception desk is inspired by the contours of the face, and is the star of the grand foyer. The entrance space also features curved display shelves that are hung from the ceiling, appearing as if they are floating in mid air. The biggest design challenge for Anna Jo Medical Beauty revolved around the manipulation of materials. This included the front counter at the main foyer entry area, which was made entirely from corian. Translating the initial fluid, curved and organic shaped idea, from concept into a realistic built form proved to be a challenge not only due to the sheer cost of the corian material, but also ensuring that the mould of the material was an exact match to the designed concept. Another challenge within this project was the sheer size of the fit out. 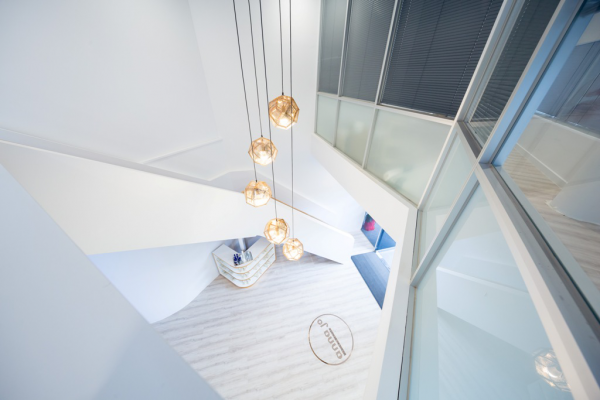 At over 300sqm - managing the design features and the budget became a careful balancing act. A robust use of natural materials was employed throughout the project, with strict consideration to durability, sustainability, recyclable properties and environmental friendliness. Certification schemes and forest product purchasing programs must be in place for any timber purchased. The materials purchased are from sustainable resources that are from well managed forests which provide significant and measureable environmental and economic benefits to communities. Other materials used are melamine particleboard, used extensively for all cabinets and carcasses. 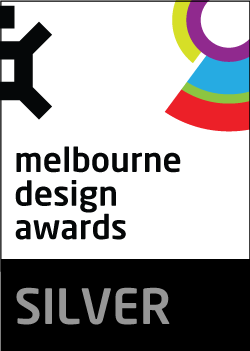 It has been tested extensively to the Australian and European Union Standards. Stainless steel was also used and requires little maintenance, meaning fewer chemicals being deposited down the drain. This has made this product an eco-friendly product.